Bacillus sp. ZYK (=DSM 26460 =CGMCC 1.5179) was isolated from a paddy soil in Dehong, Yunnan, China and is an anaerobic nitrate-reducing, Gram-positive bacterium . Strain ZYK belongs to the genus Bacillus, and based on 16S rRNA phylogeny, is most closely related to Bacillus azotoformans isolated from garden soil, which is capable of reducing nitrate, nitrite, nitrous oxide, and nitric oxide under anaerobic conditions [2–4]. Strain ZYK is capable of nitrate-reduction under anaerobic conditions and, in addition, demonstrated selenite-reducing ability and arsenic resistance (unpublished data). Bacillus spp. are commonly found in paddy soil and may play important roles in elemental cycling during periodically changing redox conditions [5–8]. Therefore, strain ZYK is a suitable model for studying the properties of genes involved in denitrification, selenite-reduction and arsenic resistance pathways of paddy soil bacteria. Here we summarize the features of Bacillus sp. strain ZYK and provide a description of its sequenced genome, now available for detailed analysis. 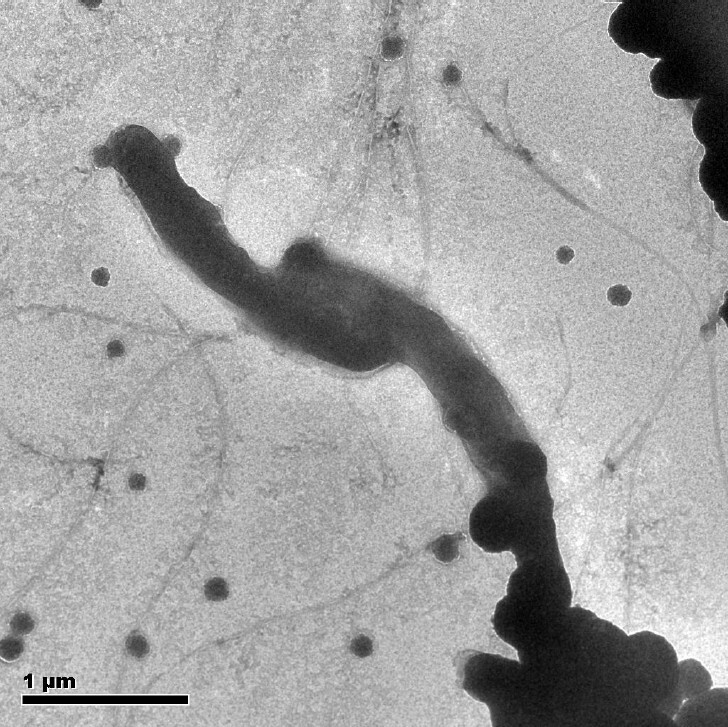 Strain ZYK is an anaerobic, Gram-positive, spore-forming, motile, rod-shaped (0.2–0.3 µm wide and 1.5–2.0 µm long) (Figure 2). The strain grew optimally at pH 7.0–7.2 (range 6.0–7.6), 30–40°C (range 21–45°C) and at low salinity (NaCl range 0–1.1%) (Table 1) in freshwater anaerobic medium . On anaerobic LB agar, strain ZYK forms small, white colonies with entire edges (data not shown). Carbon substrates utilized for growth by strain ZYK included D-glucose, maltose, lactose, and sucrose. Strain ZYK reduces nitrate and selenite under anaerobic conditions in freshwater medium. Transmission electron microscopy of strain ZYK. Scale bar corresponds to 1.0 µm. An arsenate reductase coding gene (arsC) was identified with 77% similarity to the Bacillus megaterium arsC gene (AJ515540). An arsenite efflux pump gene was also identified as arsB with 78% similarity to Bacillus sp. CDB3 arsB gene (AF178758.2). Two DMSO reductase genes have 59.2% and 60.3% similarity with Desulfosporosinus orientis DMSO reductase (Fe-S cluster containing hydrogenase coding gene) and Bacillus sp. 1NLA3E DMSO reductase (dimethylsulfoxide reductase, chain B), respectively. The discovery of an arsenate reductase coding gene (arsC) and DMSO reductase sequences suggests that the reduction capabilities of strain ZYK are broader than expected, and that other substrates be tested. Particularly, we are interested in determining whether selenite reduction activity in ZYK is mediated by a hydrogenase , a nitrite reductase  or a DMSO reductase. While the reduction of selenite to elemental selenium is a common feature of diverse microorganisms, the genes responsible for this process remain largely uncharacterized and virtually nothing is known about their regulation [33–35], or their interactions with other respiratory pathways. In addition to Bacillus sp. 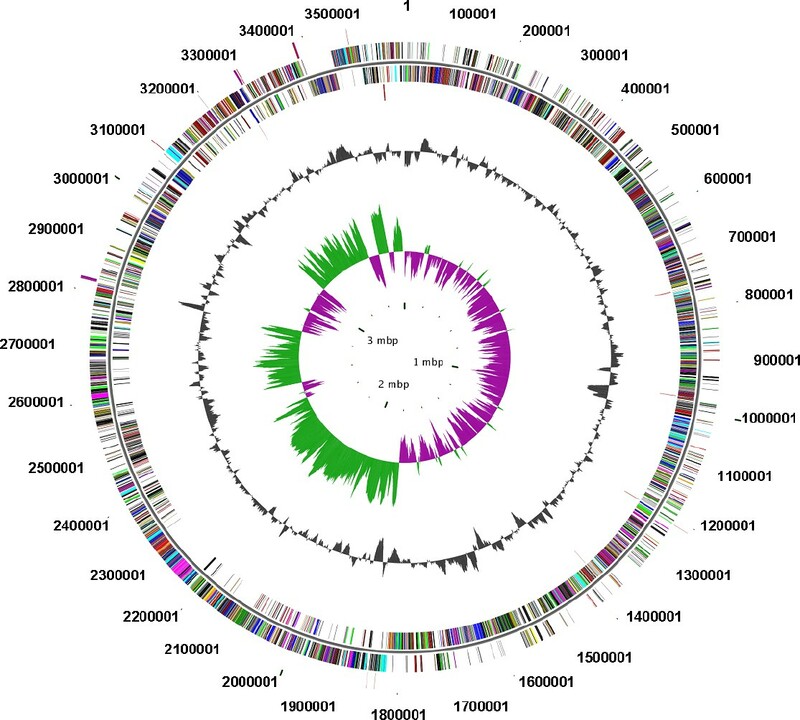 ZYK, the genomes of two bacteria capable of selenite reduction, Bacillus selenitireducens (NC_014219.1)  and Desulfirispirillum indicum S5 [37,38], have been sequenced. The investigation of the functional genes of strain ZYK will consequently enhance the understanding of the electron acceptor utilization pathways in microorganisms, and how nitrogen, selenium and arsenic cycling is mediated by microorganisms active in paddy soil. Further study of these reductase gene-coding sequences may reveal the importance of the Bacillus genus in elemental cycling in paddy soils. Integrated Microbial Genome portal of JGI. http://genomesonline.org/cgi-bin/GOLD/bin/GOLDCards.cgi?goldstamp=Gi22906.